Binding covers not only come in a variety of colors and dimensions, but there are also different materials to consider. The majority of covers are either paper or plastic, but some varieties combine the two. Which binding cover should I use for the front of my book? Clear PVC covers are the most popular choice for a book or presentation's front cover since it is simply a protective transparent layer that completely exposes a book's first page. This variety gives the most flexibility in terms of customization. Most are clear and glossy while some can have a texture on one side. Window-cut binding covers are mostly a solid textured plain or vinyl coated paper binding cover with a small window shaped hole in the front that exposes a report or document’s title (like a label). Some 12 Mil or 16 Mil polycovers come in a Clear variety, which can add a unique style to your book. For example, our 16 Mil Clear Hologram texture covers are similar to textured privacy glass where they somewhat distort the protected image yet still give a clue as to what it is. Which binding cover should I use for the back of my book? Most binding covers used for the back side of a book or presentation come in many colors and fall within three material types: polycovers, paper binding covers, or composition covers. Polycovers are made of 100% flexible plastic and provide excellent strength and protection to a book. Lightweight paper binding covers offer basic coverage and blend well with bound documents. They are about the same thickness of a file folder and come in either a leather grain texture or linen fabric texture, offering a hint of sophistication. Composition binding covers are unique as they are both paper and plastic at the same time: they are inherently a paper stock cover with a vinyl coating on one side. They are less durable than polycovers but offer more protection against a sprinkle of water or coffee than paper binding covers. I'm using a thermal binding machine - which covers do I use? Thermal binding covers add a front and back cover with a spine all in one step. Styles range from a transparent clear cover with textured paper back (sometimes referred to as "thermal utility covers") to leather textured hardcovers. What does 2:1, 3:1, or 4:1 pitch mean? These ratios help us determine whether a coil or wire is compatible with the hole pattern punched by a particular binding machine. "3:1" means that your machine will punch three holes in every inch of your book's spine. How do I figure out which pitch I need? Hold a ruler next to the holes punched in your sheet or book. Lightly mark with a pencil the upper and lower edge of 1 in. along the spine. Count the number of holes that comfortably fit within the two drawn lines. Why don't my wires or coils match my book? Wires with a 2:1 pitch will not fit correctly in a book punched with a 3:1 wire binding machine, and vice versa. Similarly, coils with a 4:1 pitch will not wind easily through a book punched with a 3:1 pitch wire binding machine. It is important to have "perfect pitch" when it comes to binding so the loops of your coil or wire will fit through the holes of your book. Titan-Strength Screw Posts – Home Rocket-Building Made Easy! Our standard aluminum screw posts are great for binding manuscripts, oversized sheets, and swatch samples – but what about those heavy-duty projects like building a rocket? Lamination Depot’s new titan-strength screw posts offer the strength you need, without the unnecessary accuracy (and cost!) of high-precision screws. With a package of Lamination Depot’s titan-strength screw posts, a few feet of aluminum tubing from your local hardware store, your favorite rocket fuel, and a little ingenuity, there are only a few hours between you and your dreams of space exploration. Other possible applications include DIY earth-moving equipment, high-rise building construction, a homemade mech suit, and many more! 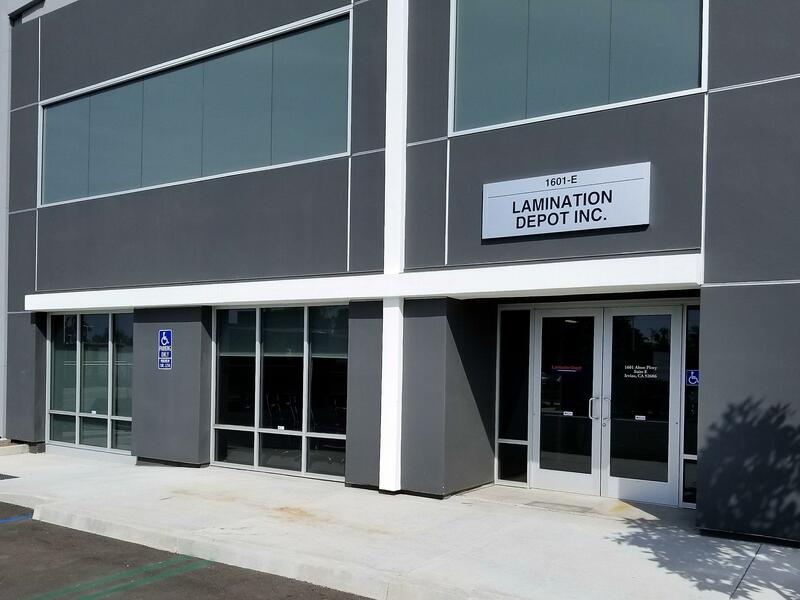 Now that Lamination Depot offers screw posts in titan-strength, you’re only limited by your imagination – and the size of your launch pad! *Please note: This post is intended as a joke. Our screw posts are designed for light-duty binding applications and not for construction projects of any type. Happy April Fool’s Day! Bind Hardcover Books Using Your Fastback Binding Machine! Binding hardcover books with the Powis Parker Fastback binding system revolves around binding a group of pages (referred to as a "book block") with an endleaf in both the front and back using either LX Strips with the Fastback 9 binding machine or Super Strips with the Fastback 20 binding machine. Since the inserted endleaves are glued to the cover while the spine itself is not, it creates what is referred to as a "floating spine," which adds longevity to the book by preventing creasing and cracking along the glued edge. Pre-fabricated Fastback hardcovers are available in both portrait and landscape orientations with either "composition" covers or "suede" covers in a variety of attractive colors. Though there are only page maximums when it comes to the binding strips, it is important to match the thickness of a book's block to the appropriately-sized hard cover spine to ensure a proper fit. For a highly-customized, full-color hardcover book, one might consider the Image Wrap process. A laminated printed sheet is cut to size using the appropriate hardcover guide then wrapped around covers with pre-applied adhesive with the help of the Powis Parker Image Wrapper. After endleaves are added to each side of the "book block" and the double sided adhesive sheets included with the covers are applied to each side of the cover's interior, the "book block" is then inserted. Neither type of cover actually goes inside the machine - only the "book block" bound with either the LX Strips or Super Strips. To give your hardcover book a truly professional finish, create an indentation near the book's spine using the Pro-Bind Hardcover Crimper to allow for easy page turning and to prevent unsightly creases on the cover. If you have any questions about Fastback binding or how to make your own hardcover books, feel free to ask us within the comments section - we're happy to help you! Customized binding covers make documents stand out and appear more professional. One of the most frequent and relatively inexpensive ways to achieve this look is to print a design onto the front sheet of the document (on either the same type of stock used for the whole document or something heavier) then add a clear binding cover to protect it. Clear PVC binding covers come in 5, 7, or 10 mil and are offered in a variety of sizes - 8-1/2" x 11" covers that are flush with the edges of a standard letter-sized sheet of paper, 8-3/4" x 11-1/4" covers with round corners to protect the square corners of letter-sized books, 9" x 11" covers to accommodate letter-sized documents that include tab dividers, 8-1/2" x 14" covers for legal-sized books, and 11" x 17" covers for tabloid-sized (double-letter) books..
An alternative to using a clear PVC cover for a bound document is to laminate the printed design, which eliminates having to flip the clear cover as if it were an additional page in the document. This process can be as simple as inserting the printed page into a laminating pouch and then sealing it with a pouch laminator or encapsulating it using a roll laminator. If you would rather have one side of the cover laminated and the other side exposed (for writing an inscription, etc. ), you can laminate the design using nylon "lay flat" laminating film which does not curl after being applied; however, due to the price per roll and investment in the specialized machine, this process is most often used by professional printers and graphic artists. If you would like a recommendation for a machine or supplies to used to create your custom cover or for another project, please ask us within the comments section - we're happy to share our knowledge with you and get your project rolling! In addition to traditional binding methods like comb, coil, and wire binding, many organizations are turning to unique, new binding systems that offer innovative and useful features, such as secure and professional simple channel binding. In this post, we take a closer look at the Atlas-150 Metal Bind system and learn more about what sets simple channel binding apart from other traditional binding styles. Simple channel binding uses rigid, U-shaped, metal spines to bind documents. Unlike comb, coil, and wire binding, which all require that holes be punched into the document that is being bound, simple channel binding relies on the pressure created by the crimped metal spine to hold the pages in place. Metal Bind spines are available in seven sizes and two colors, and can accommodate documents up to 150 pages thick (based on regular 20 lb. paper). They are offered in an 11" length, which is suitable for binding letter-sized documents. The simple channel binding process is fast and surprisingly simple. The simple channel spine of the correct size is first inserted into the machine, with the open portion of the channel facing up. Use the adjusting lever to properly align the spine within the binding throat, then insert your document (including covers) into the spine. Align the document so that the edges are flush with the edges of the spine. Hold the document in place, and pull the handle toward you to crimp the spine and secure the pages within it. Release the handle then remove the finished document from the machine. Because documents bound with the Atlas-150 can only be debound using a specialized tool, they are tamper-resistant and extremely durable. They can also stand upright (even when used with soft binding covers), making them easy to file and store. The Atlas-150 simple channel binding machine offers a number of benefits that can be appreciated by organizations of all sizes. It is a fully manual binding machine, so it requires no electricity to operate. This machine is also fairly compact, with a desktop footprint that is smaller than 11" x 17". It can easily be transported between offices or assigned to a small workspace within practically any office environment. Furthermore, organizations do not need to stock a large selection of supplies in order to accommodate all document sizes, since there are only seven spine widths. Having documents that are truly secure and tamper-resistant is a concern for many businesses, especially those in the legal and financial industries. Since the spine is permanently crimped during the metal bind binding process, it is impossible to remove or replace pages without using the specialized debinding tool (followed by re-binding the document using a new spine). In addition, the simple channel spines are sleek and bound documents are easy to stack or store, unlike books made with other traditional binding styles. Another advantage of the Atlas-150 Metal Bind system is that it is faster than most other traditional binding systems. Simple channel binding does not require that any holes be punched into the document, which means that the additional step of punching is eliminated. Punching is often the most time consuming portion of the traditional binding process, since large documents have to be punched in smaller sets based on the punching capacity of each individual binding machine. With punching eliminated, documents can be bound much more quickly and large runs can be completed in considerably less time. The Atlas-150 Metal Bind machine is a versatile and unique binding system that is compact, affordable, and powerful. While simple channel binding spines are available in fewer colors and cost a bit more than their wire, comb, and coil binding counterparts, they offer unmatched security and ease of storage. Also, since the binding process doesn't require any punching, your production speed can be faster than with traditional punch-and-bind systems. If your organization is looking for an innovative alternative to standard binding styles, then be sure to take a look at the Atlas-150. Powis Parker's Fastback binding systems are known for creating durable and professional thermally-bound documents using their patented Fastback binding strips. The Fastback 9 binding system (which is one of their newest models) is the most compact and affordable of all of their thermal binding systems. Specifically designed to work with Lx binding strips, this user-friendly thermal binding machine is capable of binding documents ranging from 10 to 250 pages in length in as little as 35 seconds. In this post, we share a basic overview of the Fastback 9 binding process. To bind a document with Lx-Strips, begin by turning on your Fastback Model 9 binding machine and setting it to Lx mode. Select the appropriate strip size for your document, and gently crease it into an "L" shape using your fingers (ensuring that the adhesive faces inward). If you are unsure as to what size spine to use, inserting your document into the binding recess and pushing the "Bind" button will display the correct spine size on the LCD screen. Place the Lx-Strip into the binding recess with the adhesive facing up and the short side of the "L" pressed against the back of the channel, and slide it all the way to the right. Jog the pages of your document as well as the covers so that they are aligned along the edge (where they will be bound) and place them into the binding recess. Align them with the Fastback Lx Strip so that the top and bottom edges of the document are flush with the top and bottom edges of the strip. To create a uniform strip width on the front of your document regardless of size, place the front cover against the back of the binding channel. After you have ensured that your document is flush against the back of the binding recess, press the "Bind" button to start the binding process. When the binding process is complete, the LCD screen will read "Remove Book." Gently pull the finished book out of the binding recess and place it into the cooling rack. After the book has cooled for approximately five minutes, it is ready for distribution.